In our most recent issue of The Highland Woodturner, we featured Jim Brown’s beautiful woodturning of the recreation of a Cessna C195, which was built in honor of his love of flying as a child. He took his first flight in a Cessna Seaplane over 45 years ago with his parents and sister, and ever since then he has always had a passion for seaplanes. 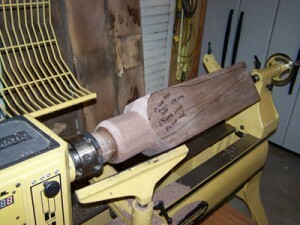 Just a few years ago he began woodturning, which he describes as the “woodworkers version of sculpting”. Once he mastered the basics with the help and guidance from his local woodturning guild, he was able to combine his love of planes and skills in woodturning, and create his own wooden seaplane. 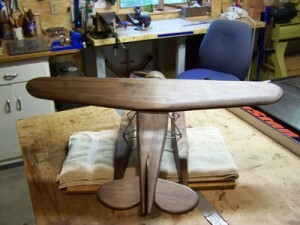 For the creation of his seaplane, Jim turned the main body as one solid piece including the nose cone at the end. 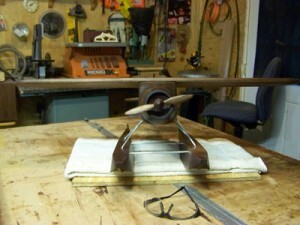 He then created the other pieces individually over the span of 4 months with the help of an actual C195 blueprint. He finished all of the pieces with Bush Oil and then used the Beall Wood Buff Kit to buff all of the parts. Once he had all of the pieces made it was time to attach all of them together. 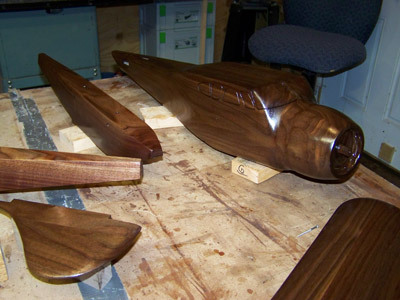 He attached the wing to the main fuselage by drilling a series of mirroring holes into each part and then used ring shank stainless steel siding nails, which he dipped in West System marine epoxy. 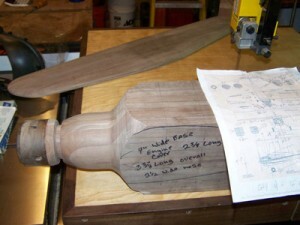 The final steps included carving and sanding, including the original hull details in the bottoms of the pontoons. 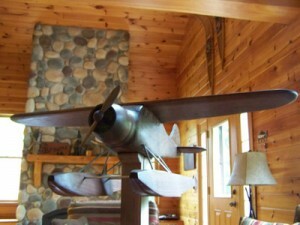 Jim put his seaplane project up for sale at the Starving Artist Gallery in Old Forge, NY, where he plans on using the money he makes from selling it to take a trip to visit his parents in Florida. Fridays on the Highland Woodworking Blog are dedicated to #FollowFriday, where we use this space to further highlight a woodworker or turner who we have featured in our monthly e-publications Wood News and The Highland Woodturner. Would you like for your shop to appear in our publications? We invite you to SEND US PHOTOS of your woodworking along with captions and a brief history and description of your woodworking (Email photos at 800×600 resolution.) Receive a $50 store credit redeemable towards merchandise if we show your shop in a future issue. C-195 is my favorite airplane. Came close to buying one some time ago.